What Food Is The Super Radiation Shield? Long championed for its cancer-fighting properties and dense nutrition, broccoli may be one of the best protections from harmful radiation exposure. Research by scientists from Georgetown University Medical Center and published by the Proceedings of the National Academy of Sciences, shows that broccoli is uniquely equipped to help prevent and treat radiation sickness. This famous cruciferous vegetable has a radio-protector known as diindolylmethane (DIM) that blocks irradiation in healthy cells. The DIM protects against lethal doses of total body irradiation. The protection was noted for both eating the broccoli before or up to 24 hours after radiation exposure. The research points to another application outside of an accidental radiation exposure context that could change the way cancer is treated. While the DIM protects healthy cells, it leaves cancerous cells unprotected, leaving them to fry. 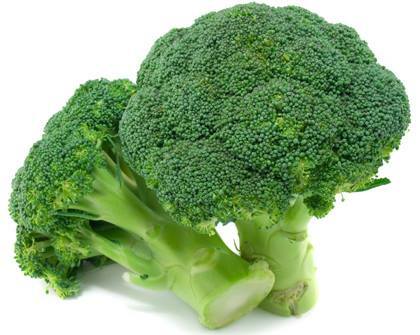 DIM or just a lot of broccoli would help with preventing tissue damage from radiation during X-rays and CT scans. Among broccoli’s wide array of health benefits, it also protects the heart and blood vessels, decreases the risk of all cancers, and reduces inflammation in arthritic joints. Even if you don’t like it, eat for protection.